Just north east of the old brick Custom House on Main Street in the village of Waldoboro sits the Waldo Theatre. New York lumber dealer Carroll T. Cooney commissioned the building in 1936, hiring New York theater architect Benjamin Schlanger to design a movie theater for the town and surrounding areas of Midcoast Maine. Opening in 1937 during the depths of the Great Depression, the Waldo provided an inexpensive and dignified escape from the rigors of the time. On the exterior, the two-story brick, steel, and concrete building is Neo-Classical style. The real significance of the theater, however, is in its interior design and construction. Following on his wider-known designs, such as the Cinema I-Cinema II complex in New York, Schlanger’s interior design for the Waldo Theatre suggests minimal Art Deco themes that work alongside modern functional principles of acoustics and viewership. Beside these decorative elements, Schlanger devised an ingenious small application of the “envelope” system of construction, where a space is created between an inner and outer building directing hot air down, cold air up, and a complete change of air every few minutes. The materials used also ensure an essentially fireproof building. Adding to the viewer’s experience was a floor configuration which sloped up instead of down toward the screen to alleviate neck strain, varying seat widths and some seats equipped with headphones for hard-of-hearing patrons. The Cooney Family operated the theater until 1957 when they sold the property, after which the building lay vacant for twenty-three years except for an occasional live performance and use as a Masonic meeting hall. In 1980 the theater was purchased by a physician and his wife who began extensive renovations of the building. According to its nomination for the National Register completed in 1986, the interior of the theatre remained unaltered, though the left side annex was partially converted into medical offices. Since 2006 the Waldo has been managed by the nonprofit Waldo Theatre, Inc., though due to lack of funding for programming and general upkeep, it was forced to close its doors once again in the spring of 2014. The building has suffered water damage is in need of a new roof. Moisture infiltration has damaged interior walls. These issues must be addressed before any other interior renovations or programming decisions can move forward. The past year has brought new leadership to Waldo Theatre, Inc., breathing new life and energy into the quest to reopen this community landmark. A $5,000 grant from Maine Community Foundation for capacity building will allow the group to develop a fundraising plan. A new roof is estimated to cost at least $35,000, but a fundraising goal of $100,000 has been set in order to ensure other immediate rehabilitation costs can be covered. Before it can reopen to the public, additional needs include digital upgrades to the projection system and the development of a sustainable business plan. 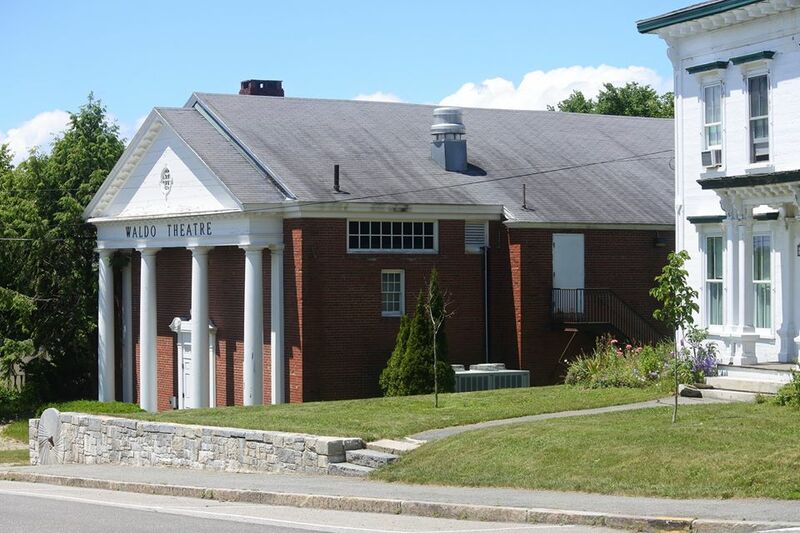 Through strong leadership and the tremendous dedication of board members, Waldo Theatre, Inc. has accomplished a great deal but needs continued community and financial support in order to ensure the reactivation and preservation of this cornerstone of culture and entertainment for Midcoast Maine.